So, it’s October and as the days get darker and rides get colder, it’s time to start retreating inside (of either your home or the Lab) to get some of those sessions done. Except this is the time of year Redbull choose to run the longest one-day cycling event in the calendar – Redbull Time laps – using the extra hour as the clocks go back to put its competitors through that little bit more pain. The Lab was well represented this year, with Head Coach Tom Shanney (Redbridge CC), Annie McBain (Spokes BPC), James Ellison (Big Boy Bicycle club), Tom Mc Morrin (Big Boy Bicycle Club, Paolo Puggioni and myself (The 5th Floor) taking part. 5th were asked at registration whether we were in it for the win or for fun. We answered fun but, as it turned out, the answer was both. After 25 hours of emptying ourselves, we took first place in the mixed team’s category. Our team took roughly 1 hour turns depending on luck with finding groups on the road and how we were feeling. Our changeovers were lightning (at one point Tom Griffiths hurled his bike at me with such speed it took me out at the ankles!) Everyone did all they could to maintain our early lead against some stiff competition and it paid off. Attitudes in the pits and on the road were what surprised me the most. People genuinely wanted to help each other out – we were all in it together and in a weird way still having fun! A stranger offered to lead me out going into the finish which summed up the event for me (unfortunately I fluffed it because I was completely spent!) But this is why we do these things – to prove to ourselves we’ve got that grit and to surround ourselves with brilliant people. Huge kudos to Annie McBain for taking 2nd in the women’s category and to Tom Shanney for 15th out of 200 teams! Hats off to Redbull for running an extremely safe and well-supported event. 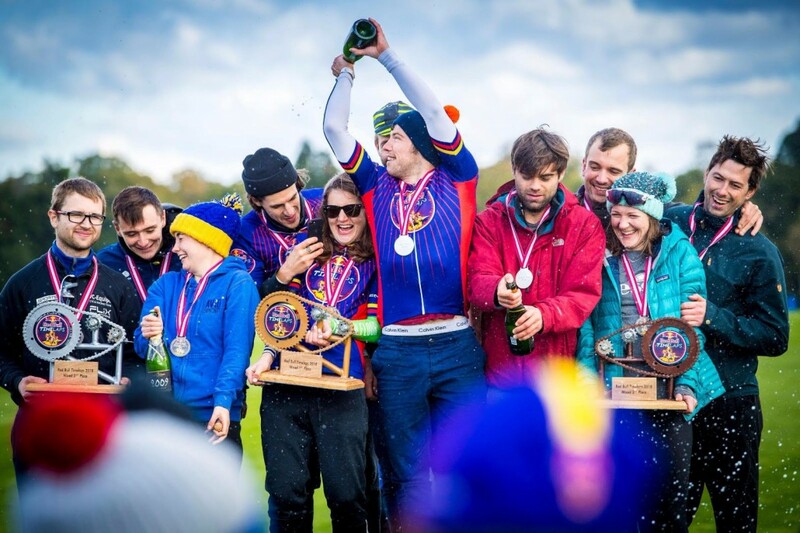 After winning the women’s category last year, 5th will hopefully return in 2019 to complete the set in the men’s category. If you’re tempted and have any questions about logistics/kit/tactics, just give me a shout in the Lab or @emma_bents ! How Many Miles You Could Do In 24 Hours? by Dan Harris HOW TO PREPARE FOR NEXT YEARS EVENTS/RACES?